Good cooking, that is. 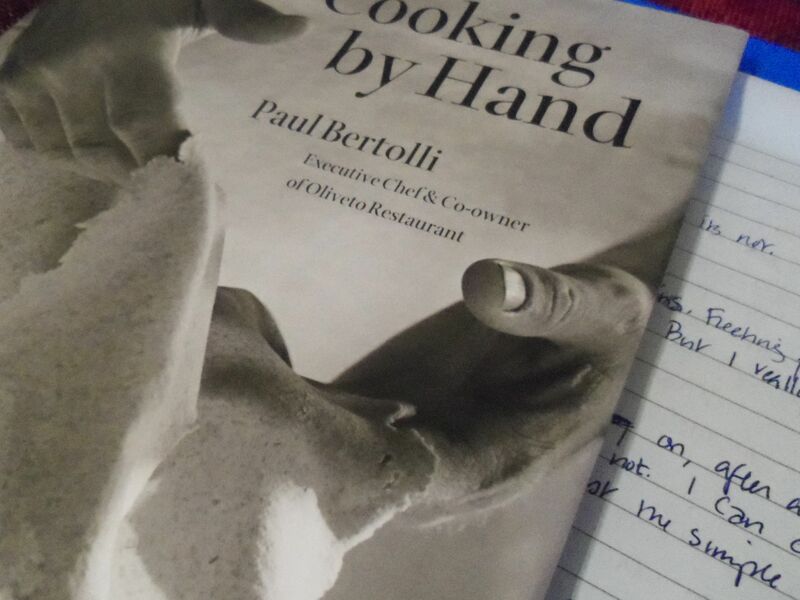 Paul Bertolli says “…as with all things made by hand, cooking well always involves some form of trouble.” And it’s true. When you care about something, you give it your attention. And the reward? Well, those days you have no time for cooking… on those days you get to eat fast food of the very best kind – home cooked meals tucked into the freezer or preserved in jars. I’ve had these feelings. Impressions without words. Fleeting fancies. After working on this farm for three years, I’m not the same. But I really didn’t understand why until I stumbled across the work of Paul Bertolli. I know. I’m late to this party. Most of you have moved on. After all, Cooking by Hand is so 2003. Except that it’s not. 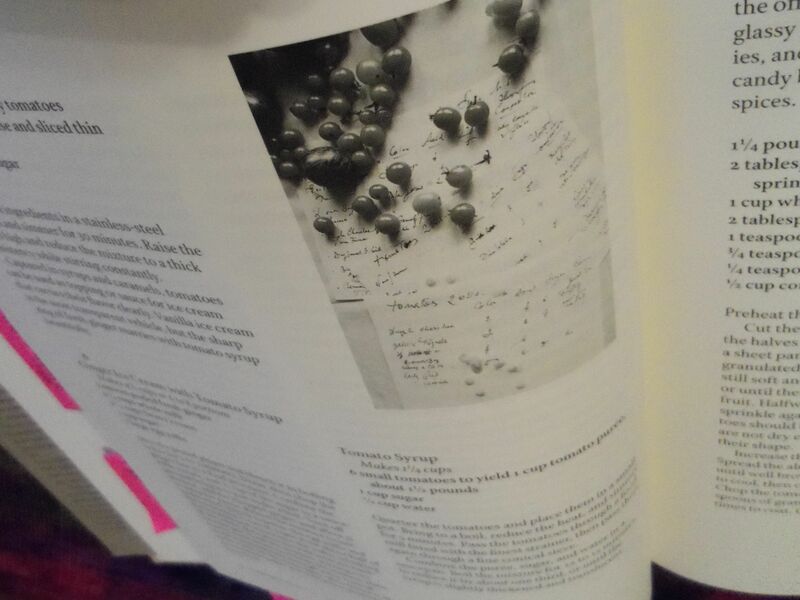 I can cook for the rest of my life and still not tire of the simple beauty of this book. Or extract all it’s wisdom. In so many ways, efficiency is the enemy of greatness. Don’t get me wrong – efficiency is very important; I appreciate an efficient, effective system. But without inefficient exploration – the pure, selfless act of following one’s senses into the seemingly dreamy, directionless act of observation – there would be no Greatness. That’s not work, is it?? How will all that touchy-feeliness increase the bottom line? He hosted a tasting of more than 100 varieties of heirloom and hybrid tomatoes of all sizes, shapes and colors. He created a rating sheet and invited the “proud parent-farmers” to tell their stories and the origins of their tomatoes. His co-chefs then experimented wildly – turning the conventional upside down – breaking all the rules. Tomato ice cream? Don’t judge it ‘till you’ve tried it. Admittedly, “not all of these dishes were worth repeating.” I notice tomato ice cream didn’t make it into the book, but ginger ice cream with tomato syrup did. 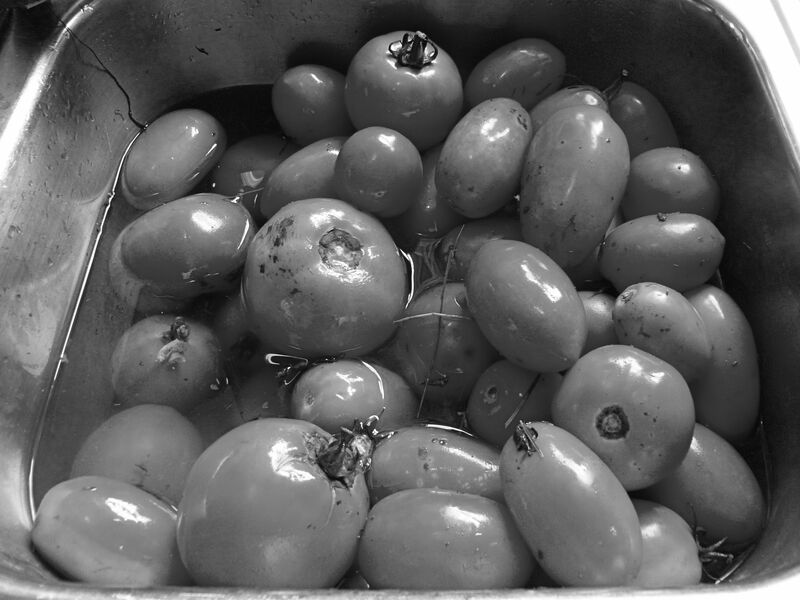 Without the failures and so-called unproductive time spent exploring the nature of those tomatoes, there would be no “Twelve Ways” structure that so well serves as a template for deeper understanding of ingredients. And without that understanding of the ingredients unique to your home – a pure savor if you will – you’ve got a parody of other people’s food traditions. Your own cuisine will emerge when you understand your native ingredients and when they are at their best. With the confidence that firm understanding brings, your good cooking becomes as much “a matter of deciding not what to add, but what to allow to be.” Cooking like this needs no slogan, no qualifiers, no trendy foodie descriptions on the menu. It speaks for itself. Today, it’s winter and the only 12 ways I can consider tomatoes are picking twelve kinds from the catalogs on my desk. This drab January day, what I can do 12 ways is the beef in my freezer. Granted, this list was designed for tomatoes and presents a few challenges for beef. But, I’m game and consider the list a springboard, not a law. What about you? What local item would elevate your cooking if you took the time to deeply understand it? This last season I discovered the joy of green tomato cake with brown butter icing. Highly recommend it, it got rave reviews from everyone brave enough to try it. I love unusual ideas for food. I always plant a lot of tomatoes and my CSA kept giving green tomatoes at the end of the summer season. Fascinating post, would be interested in what you do with the beef. This isn’t the exact recipe I use, but this is a great dish for beef: http://recipes.wuzzle.org/index.php/73/2248 I’ve been wanting to make meat balls in a half dozen different ways and compare them, but I just haven’t been able to get it done yet.